Antwaan Randle El was born on 17 August 1979, in Riverdale, Illinois USA, and is a retired professional American Football player, best known as having played as a wide receiver in the National Football League (NFL) for teams such as the Pittsburgh Steelers and the Washington Redskins. All of his efforts have helped put his net worth to where it is today. How rich is Antwaan Randle El? As of mid-2016, sources estimate a net worth that is at $14 million, mostly earned through a successful career in professional football. He’s been given high valued contracts because of his skills and won numerous awards throughout the nine years he played at the top levelyears. He was also famous for doing trick plays, and all of these ensured the position of his wealth. Randle El was a football fan at a very young age – he attended Thorntown Township High School where he would play the sport along with baseball. After matriculating in 1997, he was drafted in the 1997 Major League Baseball draft but opted instead to accept a football scholarship at Indiana University. He played college football as a quarterback, but had to take a break for a year to complete his academic qualifications. Antwaan would help the team win numerous games and would become the 1998 Big Ten Freshman of the Year – the success of his college football career led the title to be changed to the Thompson-Randle El Freshman of the Year Award. He became the first player in NCAA Division I to score 40 career rushing touchdowns and pass 40 career touchdowns overall. While playing football, he also had time to play varsity basketball for a few seasons. Randle El joined the 2002 NFL Draft and was selected in the second round by the Pittsburgh Steelers. He would become the top kick-off returner during the 2004 to 2005 season and because of his experience as a quarterback, he would be used as a passer for various trick plays. One of his most notable plays during this time was a 43-yard reverse touchdown pass to win Super Bowl XL in 2005, making him the only receiver to ever do so. In 2006, he signed a seven-year $31 million contract with the Washington Redskins which boosted his net worth significantly. He continued to produce good performances with the team and he also became the Redskins’ emergency quarterback. His run with the Redskins would further solidify his skills. He was given numerous awards but after he was released from the team in 2010, he returned to the Pittsburgh Steelers for a 3-year $7 million contract. He became the team’s leading receiver and then played well during Super Bowl XLV. After missing out on the 2011 season, he decided to retire from professional football. He founded Virginia Academy in 2013 and became its athletic director for two years. He has since expressed regret at playing football, ascribing growing physical and mental problems to the hits he took during his playing days – baseball would have been much gentler, and his career longer. 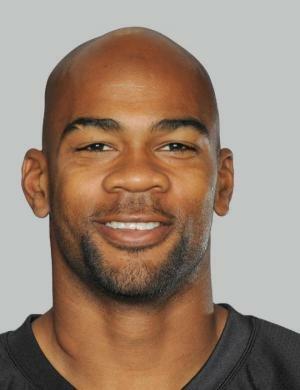 For his personal life, it is known that Randle El is married to Jaune and they have four children. He also has a child with college girlfriend Tashia. Aside from that, he resides in Loudoun County, Virginia, and has a younger brother who played college football. 1 Professional football player. Wide receiver with the Pittsburgh Steelers (2002-2005) and Washington Redskins (2006-present).